New version 2.5.10 of ibm_db gem is now available. 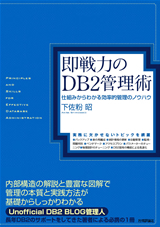 This version of gem supports database create and drop starting with version V97fp4 and above of DB2 client. With this TDD of rails becomes easier as one will be able to run rake related tasks like rake db:test:clone, rake db:test:purge etc that create and drop database. The good news is that there is a tool on IBM alphaWorks, called the "IBM XML Index Advisor for DB2 for Linux, UNIX, and Windows". - Richard Jones | Anti-RDBMS: A list of distributed key-value stores | Richard Jones, Esq.